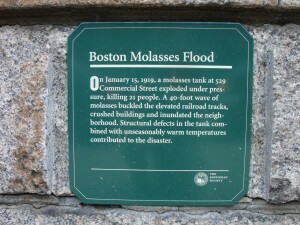 A small plaque in a Boston park marks the site of the Great Molasses Flood, which killed 21 people in 1919. 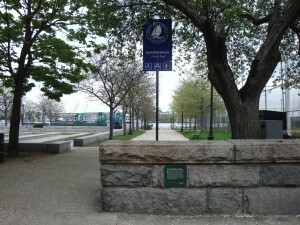 The disaster is marked with a small plaque on a playground wall near 529 Commercial Street. The molasses flood occurred on January 15, 1919, when an industrial holding tank with 2.3 million gallons of molasses burst open. A wall of molasses surged through the neighborhood at 35 miles per hour, knocking over buildings, crushing cars and trucks, and shearing supports for an elevated railway. 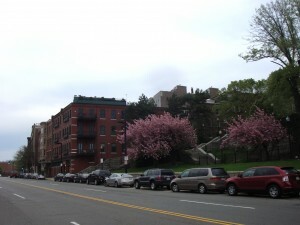 The disaster killed 21 people, injured 150, and left the Commercial Street neighborhood in the city’s North End in ruins. 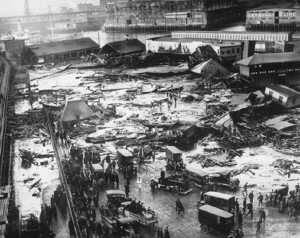 Immediately after the disaster, officials spraying water to clean up the sticky mess only spread the molasses further. 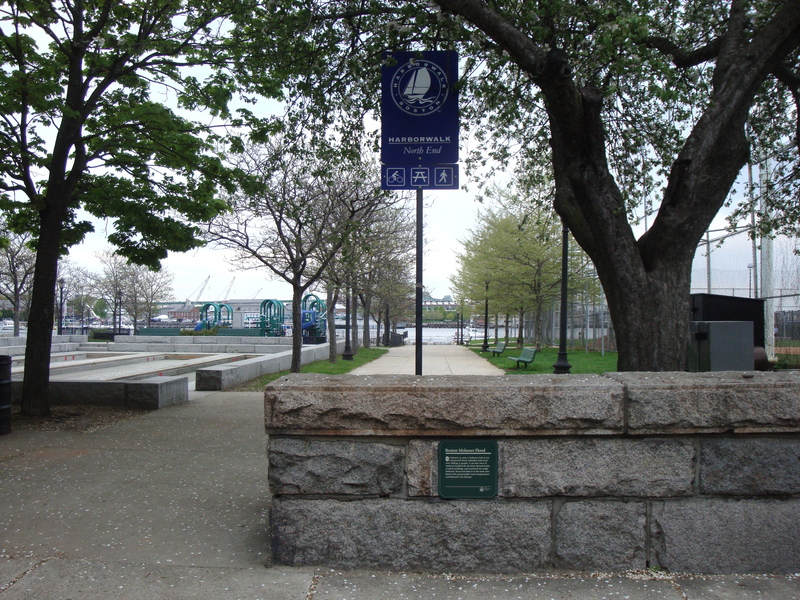 Pumping salt water from the harbor caused the molasses to foam, compounding the problem. Accounts from local residents say people could smell molasses in the neighborhood for decades after the disaster. The cause of the tank’s rupture was never determined decisively. The owner of the tank, the Purity Distilling Company, blamed the disaster on explosives planted by anarchists. After extensive litigation, the company was held responsible for not caring for the tank responsibly. The company paid more than $1 million in damages. 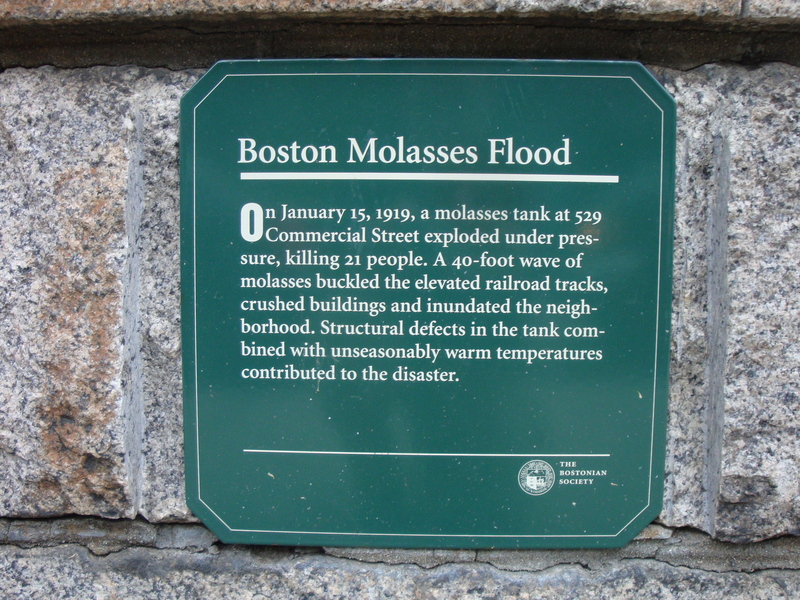 As an aside, “Boston Molasses Disaster” is also the name of a local jam band. Next PostNext Monument Square, Concord, Mass.